Valtorta, d'Agreda, Emmerich - True or False Visions? We live in a modem world, wishing to think only with feelings; that is to say a world using its heart before using its intelligence. Because of this tendency, mixing together piety, sugary Angelism, and virtue, out of curiosity and love for novelties, many of our faithful are reading, sometimes over and over, "The Mystical City of God" (Maria d'Agreda), "The Book of the Visions" (Anne-Catherine Emmerich) and "The Poem of the Man-God" (Maria Valtorta). In 1988 these books were already considered by the one who was at that time Cardinal Ratzinger (a very modernist Prefect of the Congregation of the Faith), as an "overly romanticized version of the life of Jesus, and a complex work of childish fantasies, and historical and exegetical errors, all put in a subtly sensuous vain". These parishioners claim they do not have the time to read the Catechism of the Council of Trent, but they easily make time to read the ten volumes of Maria Valtorta! Did not Our Lord warn us, "There shall arise false Christs and false prophets, and shall show great signs and wonders, insomuch as to deceive, if possible, even the elect" (Mat 24, 24)? It should be remembered that Saint Catherine of Bologne had been deceived for five years by false revelations and visions of Satan, who appeared to her crucified! Our Lord did not want for us to know everything about Him, but only what is contained in the Holy Scriptures and the works of the great Fathers and Doctors of the Church. The gift of Piety must not be separated from the gift of Knowledge: to pray, yes, but to pray with the spirit of the Church! This is why the Church did not allow the publication of a book without carefully examining it before granting the "Nihil obstat" (nothing wrong in it) and the "Imprimatur" (permission to print it). Archbishop Lefebvre did not recommend these three books. "They represent Our Lord in a manner too concrete, with all the details of His life; it can be very dangerous not to show enough the face of God in this life of Our Lord, humanizing too much the mystery of the presence of God amongst us" (1986, during a retreat for Priests). The situation in some of our parishes became so bad that one of our Priests, Fr Herrbach, published in 1993 a book in French called "Some Visions on the Gospel", with a preface by Msgr. Tissier de Mallerais, Bishop of the Society of Saint Pius X, to warn our faithful about the dangers of the works of the three visionaries. I used this excellent book to write this letter. Some parishioners may feel offended, but let us judge the situation, not with our feelings, but according to Catholic teachings. "The Mystical City of God"
Maria d'Agreda was the Superior of the Convent of the Immaculate Conception in Agreda, Spain, where she died in 1665. Her book, finished in 1660, had only been published after her death in 1670. Later, her cause for beatification was introduced in Rome. "The Mystical City of God" was condemned on June 26, 1681, by Pope Blessed Innocent XI. This condemnation was ratified and published by the Holy Office on 4 August, 1681. "All parts of the book are forbidden and condemned ... and it is not allowed to possess or print this book". Because of the great pressure coming from the Kings and the Franciscans of Spain, the decree of condemnation was suspended for Spain only, and therefore, the book of Maria d'Agreda is not on the Index of forbidden books, although still forbidden everywhere else. On 12 March, 1771, Pope Clement XIV ordered perpetual silence on the cause for beatification of Maria d'Agreda because of her book. Let us give a few of the reasons for the condemnation of her book, "The Mystical City of God". Maria d'Agreda wrote in her book, "This book has God Himself for author; everything in it is divine and revealed by God. The book has obtained the solemn approbation of the three Persons of the Blessed Trinity". But the Catholic Church teaches that the Holy Bible is the only book divinely revealed! In her book, she follows the philosophy of Duns Scot about the reasons for the mystery of the Incarnation, which goes against the opinion of Saint Thomas Aquinas. She went so far as to write, "Any man who will not believe what is written in my book will greatly displease, not the person who wrote it as a pure instrument, but the Blessed Virgin Mary herself." Doing so, Maria d'Agreda canonized as divinely inspired the particular doctrines of the Scotist school! Maria d'Agreda teaches that the body and soul of Our Lady had been carried to Heaven just after her birth by a throng of Angels, to be welcomed by the eternal Father. But the Catholic Church teaches that the gates of Heaven were closed to all men until the coming of Christ! She wrote that Our Lord asked to die even for the reproved people that is to say for those who died or will die in the state of mortal sin. But Christ, in His consequent will, died only for those who were united to Him through charity! According to Maria d'Agreda, the faith in Jesus Christ had not been completely established by the Apostles and the Holy Fathers, but only through her book in 1660! In conclusion, let us say that the book of Maria d'Agreda is full of errors, and cannot come from God. "The Book of the Visions"
Anne-Catherine Emmerich was born in Germany in 1774, and joined the Augustinian Sisters. In her convent she had many visions, and even received the stigmata of the Passion of Christ in 1812. She is a true mystic, who received from God very special graces. The book containing her visions was written by the poet Clement Brentano two years after her death. Therefore, many of the things in this book are coming from Brentano, and not from Anne-Catherine Emmerich herself. It must be said that Brentano never received from her the mission to give an account of her visions! Dom Gueranger, the great Abbot of Solesmes, supported Anne Catherine Emmerich because he was following the opinions of Duns Scot, opinions you can also find in the visions of the seer. Let us list a few of the main errors contained in the book. Anne-Catherine Emmerich saw some elephants in Heaven! The souls of children are transmigrated from their fathers. The Blessed Mother had a virginal conception, born in a miraculous way from Saint Anne and Saint Joachim! Melchisedech was an angel, and Job was born before Abraham. The Ark of the Covenant contained the pure germ of the humanity of Adam, transmitted through the Patriarchs to the Blessed Mother. This is pure Gnosticism! Eve was not seduced by a serpent, but by a chameleon. The son of the widow of Naim, raised by Our Lord, was not dead, but only asleep! The dead can receive the grace of Baptism through the prayers of the living! Our Lord made a long trip to the Indies with the three Kings, to the island of Cyprus, and to Egypt. The visions of Anne-Catherine Emmerich, transcribed by Brentano contain so many errors that "the Book of the Visions" must be totally rejected. "The Poem of the Man-God"
Maria Valtorta was born in Italy in 1897. A prolific writer, she wrote the ten volumes of the book "The Poem of the Man-God" from 1943 to 1947. She died in 1961, in a state of total mental illness. Maria Valtorta claimed she received private revelations from God, and it was her confessor, Fr Migliorini, who gave to her the order to write down these messages supposedly from Heaven. This Priest claimed that Pope Pius XII said to him in February 1948, "Publish this work the way it is written: he who reads it will understand! We hear about so many visions and revelations. We do not say that they are all true, but we can say that some of them could be true." No proof is available for such a declaration. It seems very strange that a man as busy as was Pope Pius XII could have found the time to read 5400 pages of the ten volumes of private revelations written by an unknown bed-ridden woman, and could have led the reader to believe that personal private interpretation was permitted! In February 1949 (a year after this supposed endorsement of Pope Pius XII), the Holy Office forbade permanently the publication of the work of Maria Valtorta. It is obvious that the Holy Office could not have condemned the books without the permission of the Pope. In spite of this formal prohibition, the books were nevertheless published in Italian from 1956 to 1959. These books were therefore included in the catalogue of the Index (the list of the books forbidden by the Catholic Church) on 16 December, 1959. The text of this condemnation was published in the official Acts of the Vatican on 6 January 1960. Following the permissive modem mentality, the Index of Forbidden Books was suppressed in 1966 by Pope Paul VI. This, however, does not mean that Catholics now have the right to read books which were previously forbidden due to the danger they posed by undermining morals and doctrine. A bad book remains dangerous today for the same reasons as when it was published for the first time. It has been said that Pope John-Paul II refused to receive the books of Maria Valtorta as a gift in 1979, and that Cardinal Ratzinger on 9 September, 1988, admitted that these books were still forbidden! It is not possible to cover all the errors of the book in a short letter like this, but let us provide a few examples of the foolishness contained in Maria Valtorta. "I, Mary, the Mother of God, bought back the woman through my divine maternity. I canceled the fault of our first parents". But it is Our Lord Who bought back all human beings after the original sin of Adam and Eve! Maria Valtorta claimed that Our Lady already had infused knowledge at the tender age of three. But in Saint Luke's Gospel (1:34), the Mother of God said to the Angel Gabriel after the Annunciation, "How shall this be done, because I know not man?" This shows that she did not know everything. Our Lord told the Apostles many times that Judas would betray Him. However at the Last Supper, they asked Him who the betrayer would be! The soul of the Blessed Mother was created before her conception (heresy of Origen). Saint Anne knew that her daughter was without the stain of the original sin. Our Lady had the beatific vision since her conception. The original sin was a sin of the flesh (Manichaean heresy), and the Tree of Life of the garden of Eden was only a symbolic tree. The relations between Our Lord and Saint John are very sensual, bordering on scandal. This sentimentalism can be found almost everywhere in the work of Maria Valtorta. She wants to feel the "sensible experience" of Jesus, which is a modernist tendency. The virtue of Faith is a gift from God which works through our intellect, and not through our senses. The three books we have just studied encourage a dangerous sentimentalism, not the Catholic Faith, and therefore, must be rejected. Truly yours in Our Lord Jesus Christ and His Most Holy Mother. Q: What to think about Mary of Agreda's Mystical City of God? A: A complicated story, and at least as long as the Mystical City itself. In short, there seems to be little doubt that the person of Maria Agreda is, and was, widely considered to be a saintly person. Her cause was introduced for the first time shortly after her death in 1672, then promoted again a century later, but, to this day, has not come to fruition. As to her Mystical City, it was written in obedience to her confessors (spiritual directors), burnt twice, recommenced three times, never of her own volition. The book was condemned in 1681 by Innocent XI, but execution was suspended for Spain. The Sorbonne or University of Paris did the same in 1696 by 102 votes of 152 after having had it examined by 132 doctors of theology. In contrast, several Spanish universities such as Salamanca and Alcala gave their approval, as did the Spanish Inquisition after ten years of study. In 1729, Benedict XIII maintained the condemnation. The work was placed on the Index, but the decision was contested by its supporters, invoking faulty translations from the Spanish original. Some of the reasons for the condemnation by the Sorbonne were: indecent (i.e. very physical) language; a tendency to give Mary adoration instead of veneration; her Immaculate Conception, and, thanks to this privilege, mediation of all graces. Being of Franciscan obedience and culture, Maria Agreda was following Scotist and not Thomist theology. Some of the theological ideas, namely the Immaculate Conception and the mediation of all graces became common opinion in the nineteenth and twentieth centuries, the former even dogma. The Index was abolished in 1966, although with the caveat to avoid readings harmful to faith and moral conduct. At regular intervals, the ML/IMRI receives questions about the validity and orthodoxy of Agreda’s Mystical City of God. Most of these questions deal with the faith binding character of this work, in other words, ‘do we have to believe in what is said in this book?’. 1) The Mystical City of God falls in the category of what the Church terms “private revelations,” that is insights and experiences of individuals pertaining to events and persons of Salvation history, or, more generally, the possible understanding of, and rapports between the natural and the supernatural order. Though frequently the result of a special grace given to the recipient, these insights and experiences are in no way binding for faith and morals of the faithful. 2) Their validity has to be measured against the official revelation as the church received it in and through Jesus Christ, has treasured and deepened it for millenaries, and pronounced by and through its magisterium. So what can be said about the Mystical City? According to Enrique Llamas, a Spanish Mariologist of reputation, the Mystical City of God not only does not contain any theological errors, but is compatible with the Mariological doctrine of Vatican II (LG,Ch. (See: La Madre Agreda y la Mariologia del Vaticano. Editorial Arca de la Alianza, 20072, 126). On the other hand, a committee initiated by the Congregation for the Doctrine of the Faith (1992-1999) reached different conclusions on some of the issues at stake. It admits that the Mystical City does not contain specific doctrinal errors and/or heresies, but observed that the presentation of Our Lady contrasts with what Scripture tells us about her, and affirms, at the same time, that its Mariology is not compatible with that of Vatican II. One of the practical consequences thereof was, that the nihil obstat regarding the pursuit of Mary of Agreda’s beatification and canonization was not granted for the time being. (Rome, February 19, 1999). 3) This having been said, the Mystical City of God, well before the abolition of the Index in 1966, has all along been a source of inspiration for many souls eager to deepen and enliven their spiritual life. In conclusion then it would be advisable, figuratively speaking, to read Mystical City of God with Scripture in one hand, and the Catechism of the Catholic Church in the other. "Chapter 3 of Book 8 claims Mark the Evangelist wrote his Gospel in Hebrew while in Palestine, then translated his Gospel into Latin while in Rome, whereas it was the opinion of several of the Church Fathers that Mark wrote his Gospel in Greek while in Rome." 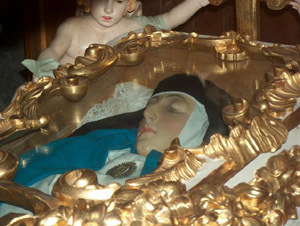 Venerable Mary of Agreda died in 1665, here she is 324 years later in 1989, completely incorrupt. As the OP stated, St. Catherine of Bologne was deceived for 5 years by visions from the devil, and she is in heaven. Where did she ever say this? I find this to be entirely incorrect. Further, although I am open to correction and having read it myself, I find the Cardinal's summary below to be the truth. "...The learned and pious Cardinal D Aguirre says that he considers all the studies of fifty years of his previous life as of small consequence in comparison with the doctrines he found in this book, which in all things are in harmony with the Holy Scriptures, the Holy Fathers and Councils of the Church." contrary the powerful arm of my Son acted with me as being the Mistress of all virtues and as the Queen of heaven. 341. Since this, O soul, was the work of my dear Son, the true God and man, He, as the Lord of virtues and graces, exalted and adorned me with them from the first moment of my Immaculate Conception. And as, more over, the hindrance of sin touched me not, I was free from the impediments which prevented other mortals from entering into the eternal gates of heaven; on the contrary the powerful arm of my Son acted with me as being the Mistress of all virtues and as the Queen of heaven. Grouping City of God with Valtorta's and Emmerich's works is deceitful. City of God has had 400 years of scrutiny, naturally there would be something somewhere questioning a point or two of what is in the like 3200 pages. Not one author of the critiques states the page or the edition from which they quote a line, very suspicious. 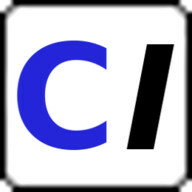 In just one quote, Stubborn of CI quotes the page, why don't any of the authors quoted? Sounds like the French had a problem with the Spanish being chosen by The Blessed Mother. Grouping City of God with Valtorta's and Emmerich's works is deceitful. City of God has had 400 years of scrutiny, naturally there would be someone somewhere questioning a point or two of what is in the like 3200 pages. Not one author of the critiques states the page or the edition from which they quote a line, that is very suspicious. In just one quote, Stubborn of CI quotes the page, why don't any of the authors quoted? International Women's Day is a day we all celebrate Eve's rebellion at the Tree and our plummet into sin. St John Vianney had 2 books, Bible and the Mystical city of God. Nothing is wrong with the Mystical City of God, when it comes to Faith, Morals. Highly Recommended reading! But in Saint Luke's Gospel (1:34), the Mother of God said to the Angel Gabriel after the Annunciation, "How shall this be done, because I know not man?" This shows that she did not know everything. The expression "I know not man" means I am a virgin. IT is not a matter of knowlege in the sense acquired information. Surely, as a priest, the writer would be aware of this use of language. I admit to not reading the OP and only skimming this thread, but reading the post just above mine, I must say that whomever Nadir quoted should rightly have their credibility called into question. I agree. The Mystical City of God is the most important reading behind the Holy Bible and the Trent Catechism. I forgot to check "not anonymous"
"Nadir’s error is to assume that the author was referring to “because I know not man” when he concluded that “she [Our Lady] did not know everything”. However, that assumption is wrong. The author of this article (Fr. Jean-Luc Lafitte) was referring to the fact that Our Lady answered “How shall this be done” to the Angel Gabriel. In other words, Our Lady did not know how the Incarnation was to be done. This clearly disproves Maria Valtorta’s claim that Our Lady had infused knowledge." Page created in 0.157 seconds with 35 queries.